This brand new wireless speaker set is compatible with multi-media appliances such as PC/MP3/MD/CD/DVD/PS/TV. 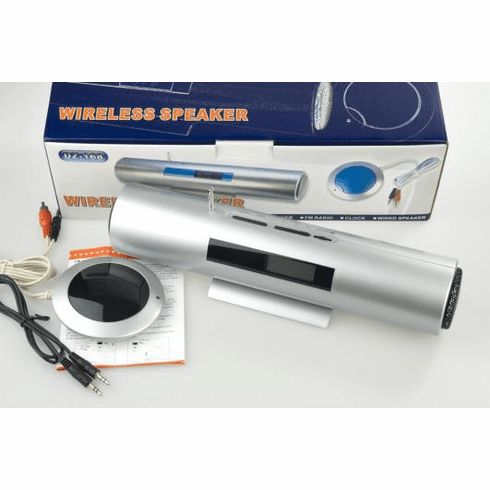 The wireless technology lets you transmit signals to wireless speakers up to 25 feet from the transmitter for listening freedom without any angle limitation. You can use several speakers in the same frequency. With the audio line it can be used as wired speaker as well. It comes with a full color retail ready box. BST laboratory tested. FCC compliance.